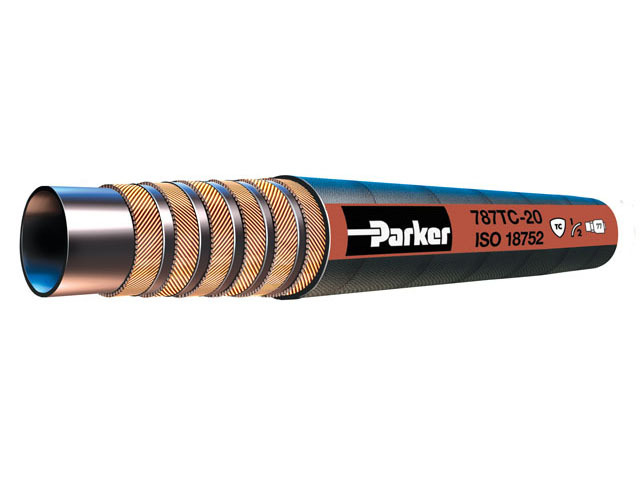 Parker’s Global Core 787TC hose provides 5,000 psi (35 MPa) constant working pressure in all sizes. ½ ISO 18752 minimum bend radius. Flex impulse tested providing a hose superior in both performance and service life. Meets ISO 18752 performance specification.